Srinagar, Oct 20: Normal life was crippled in Pulwama on Saturday due to a strike against the death of a woman in cross-firing after militants attacked an Army camp in south Kashmir. 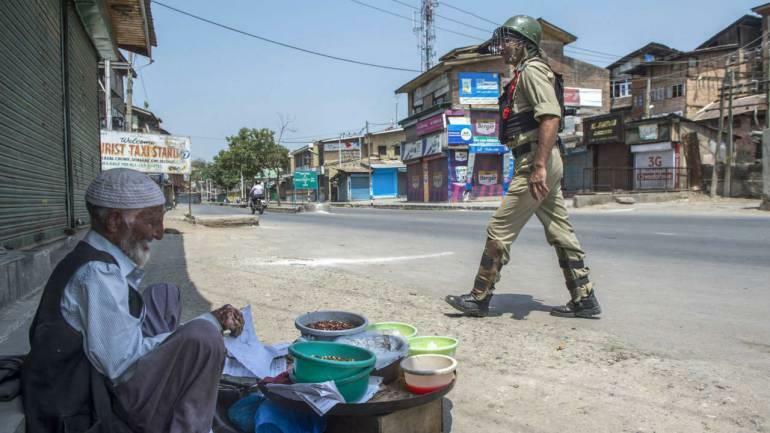 Even though there was no strike call by any separatists group, shops and business establishments were closed and traffic was off the road in Pulwama district. However, few private vehicles were plying on some routes in the interior areas of the district. Work in government offices and banks was also affected while class work remained suspended as majority of the students preferred to stay indoors in view of the tense situation in the district. The woman, identified as Shadimarg, died in a shootout on Friday evening in Pulwama, where militants fired a UBGL grenade followed by firing at an Army camp in Shadimarg, Pulwama. The locals alleged that the woman died in security force firing. ''After the grenade attack, security forces fired indiscriminately, resulting in the death of the woman,'' the locals alleged.